There’s no quicker way to make something yours than by stamping it with your personal monogram. 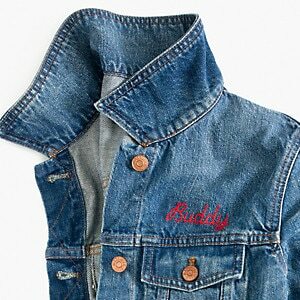 We have seen monogrammed leather goods or jewelleries, but do you know you can also get your denim monogrammed? 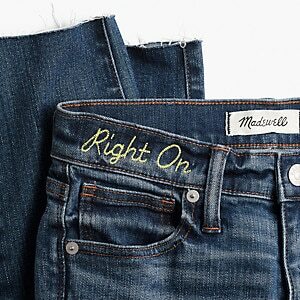 That’s right, Madewell offers embroidered monogram on any denim (jacket, jeans, shorts, shirts, etc.) that you order through Madewell.com. A little embroidered denim makes a cute personal touch for gifting, just in time for Mother’s Day! Of course you can also opt for classic monogram on Madewell’s leather pieces, like bags, totes, pouches and accessories with your initials or a favourite acronym. The best thing is the monogramming is free for all Madewell Insiders, on top of the free US shipping offer! Get on board here. Don’t forget to sign up with us to gain access to our US warehouse before you start shopping!